So apparently my home computer needed to get its life in order. It decided to crash last night, and now needs to go to rehab. He’ll probably take the bed left vacant by Britney Spears. Anyway, I’m doing my best to get things up and running again (I’m writing this from my computer at my office job), so bare with me. 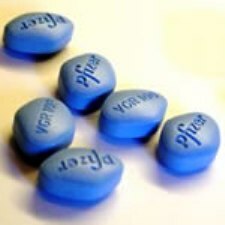 On this day in 1998 thousands of American men began to get their boners back, thanks to the FDA approving the wonder drug Viagra. Hope you and your computer are back up and running again soon! 51 queries in 1.816 seconds.